IGA Perth Royal Show is back. 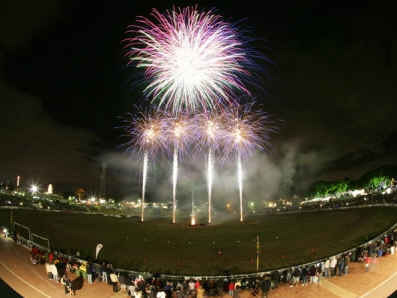 Just like the past 100 years and more, the Royal Show is going to be held at Claremont Showgrounds, this time around on 29 September to 6 October 2012. There are three ways you can buy tickets for the IGA Perth Royal Show 2012: Online, IGA Pre-Sales, and at the gate. I would recommend the first two options as prices online and at IGA Pre-Sales are discounted, and getting there with tickets in hand would definitely save you some precious queueing time. So how do you get these discounted prices again? Two options: Either you buy them online, or you buy them at an IGA store. They are already available and the IGA Pre-Sales will be wound up on Friday 28 September. However, if your local store still has some tickets left, they'll be happy to sell them to you up till the last day of Royal Show on 6 October. Online tickets are available from now til 6 October. Now that the tickets are taken care of, let's find out more about the Royal Show itself. For the uninitiated, the Perth Royal Show is Perth's own annual agricultural show. Being agricultural, there will be agricultural competitions and farm animal displays as expected. However, fairground activities like sideshow alleys and showbags have also become a big part of the Royal Show nowadays. Showbags are the reason many young children dream of the Royal Show. You may think they contain useless items, but to these kiddies, the day is not complete until they clutch a bag of their choice in their little hands. To avoid the headache of screening bags on the spot while your kids freely pick and choose age-inappropriate or way more bags than you're prepared to buy, you can visit this webpage and do your bargaining with your kids in advance at home. Of course some may think this is spoiling the spontaneity of it all, so if you are firmly in that corner of the debate, let's just agree to disagree. Sideshow Fun is all about fairground rides and games. There are the traditional Carousel, Dodgems, and Roller Coaster. But there are also the more sophisticated 3D ride and virtual reality simulator. 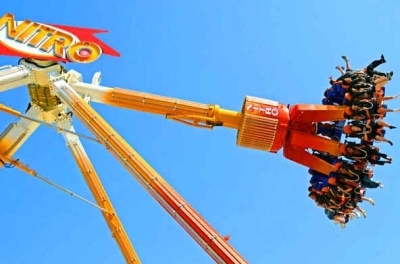 Rides cost between $4 and $20 - and depending on your kids' height, they may be able to experience the thrill of the "big people" rides or get confined to the "little people" rides. 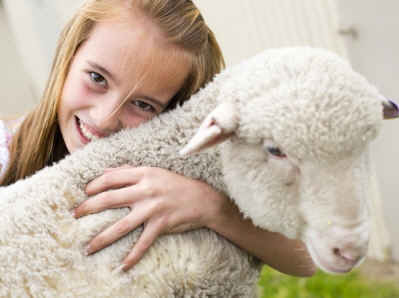 Animal lovers will be spoiled at the IGA Perth Royal Show 2012 with various animal-themed displays and pavilions. Ten thousand animals are expected to be involved in the competitions and displays, including cattle, horses, poultry, cats and dogs. Farming is tightly related to food, therefore it's not surprising that there will be many activities related to this. From planting your own ingredients to cooking and baking them, they are all covered in the show. If you're not into animals or farm activities, fear not, there are loads of other exhibitions on offer, such as art and craft, mining and resources, fashion, and police exhibitions. There are also events catering for those prefering more energetic (dare I say manly) activities. Wood chopping, sheep shearing, BMX, and fire-eating are all on the agenda. So you can watch, marvel, or even participate in some of these events if you wish. 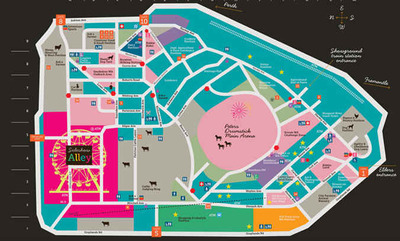 To find out where to meet your favourite animal or find a particular pavilion, check out the Showground map. You can download a pdf version, look through the calendar for activities you plan to visit, and plan an efficient route to make the most of your day. To help you do it, the Royal Perth website has something called "Plan My Day." It's a little online tool to help you jot down which showbags you plan to buy, what rides you plan to take, and which pavilions or exhibitions you plan to visit. When you're done, you can print out the list to bring with you on the day plus a customised map with the locations of your choices marked. Quite cool. So there are many reasons why going to the Royal Show is a good idea. It's fun for the whole family, it gives the kids something major to look forward to during the school holidays (which hopefully stops them from coming to you every five minutes saying they're bored). But to me the tradition is also a big part of it: To be a part of a show that has been going on for the past 175 years or so, with the last 100 years or so at the exact same venue. When you and your family walk around looking at the cute chooks and the awesome bulls, remember that 100 years ago someone else walked around at that exact same place, doing the exact same thing. How incredible is that. Why? Take part in the biggest community event in Perth, at a disounted price.